Dubuque photographers love outdoor family portraits. Especially during the fall with all of the bright and fun colors! 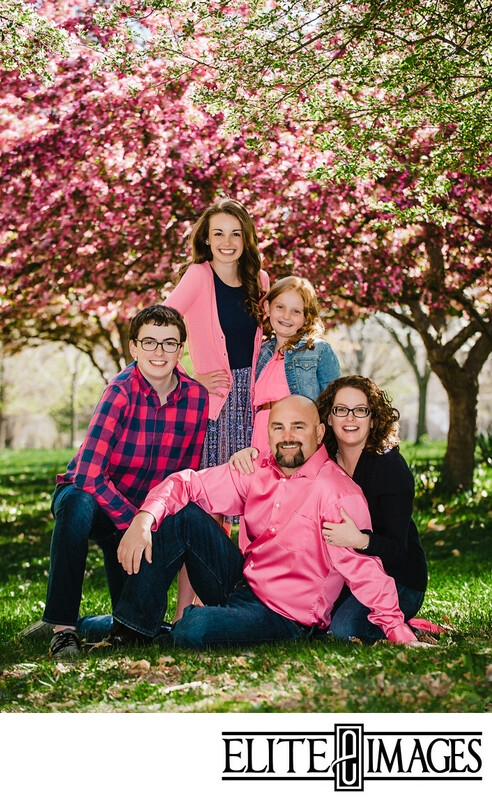 Against the cool green of the grass, this family really popped in their bright pink! The pink leaves behind them helped pull the whole composition together.